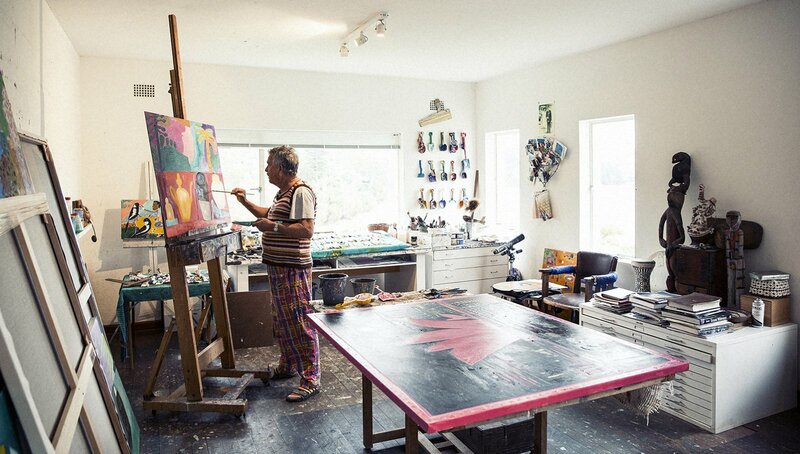 Ken Done’s first solo exhibition was held in Sydney in 1980. Since then, he has held over 50 one-man shows, including major exhibitions in Australia, Europe, Japan and the USA. His work has been described as the most original style to come out of Australia, and his paintings are in collections throughout the world. Born June 29, 1940, in Sydney, he left school at 14 to enter the National Art School in East Sydney. After 5 years study, he commenced a highly successful career as an art director and designer in New York, London and Sydney. At the age of forty, he made the decision to leave the industry and devote himself to painting full time. Since then his works have been shown in the Archibald, Sulman, Wynne, Blake, and Dobell Prizes. Working predominantly in oils and acrylic, Done takes inspirations from diverse sources - the ebullience of the sea and sky, the transcendent emotions of a quiet garden, aboriginal art, japanese poetry, the urban shout of Sydney, where he makes his home - but the sensibility that underlies his work is uniquely his own. This original art has become the creative source of a unique and now famous Australian brand. It began with a small run of t-shirts printed with a beautifully simple, bold drawing of Sydney Harbour. This original image caught the attention of Sydneysiders and visitors alike and has gone on to become an icon of Sydney, and an icon of Done. He is renowned for his bold images of identity and his unique reproduction of these images on clothing, homewares and prints. Vogue once said “You can hang a Done on your wall or a Done on yourself”. Major projects in a very diverse career include the painting of a BMW Artcar, joining such artists as Andy Warhol, David Hockney, Roy Lichtenstein and Alexander Calder. An original Ken Done work featured on the cover of the weekly Japanese magazine Hanako for over ten years, and in recent times Ken has also become involved in the movement toward a new Australian flag. In 1999, Done was asked to create a series of works for the Opening and Closing Ceremonies programs of the Sydney 2000 Olympic Games. Ken created the total decorative scheme for the Garden Restaurant at the Powerhouse Museum, in Sydney and in 1994, a major retrospective "Ken Done: the art of design" was mounted by the Powerhouse. In 2002 the Museum acquired his commercial art and design archive of more than 300 items. Although he has worked extensively for many charitable organisations, the welfare of underprivileged children has always been a special concern of Ken's. Father of the Year in 1989, Ken Done has been an Australian Goodwill Ambassador for UNICEF since 1988. Ken’s work is now widely recognised as holding a unique position in Australia’s cultural heritage. 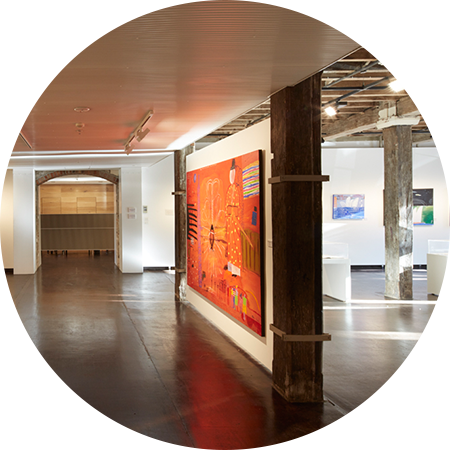 In 1992, he received the Order of Australia (A.M.), for services to Art, Design and Tourism. In many parts of the world, Ken Done has come to symbolise Australia and Australians: creative, optimistic and bold.